José Mourinho is the ultimate trophy collector. But his attitude makes him the wrong man for the Real Madrid job. Reports have it that Jose Mourinho has been compensated by Manchester United to the tune of £15million following his abrupt sacking at Old Trafford. That clears the way for the Portuguese manager to move on to another job. Although he has taken a role with bEIN SPORTS as a pundit, a return to the dugout once the right job comes along will definitely be on the table. Former employers Real Madrid have been heavily linked with a move for the serial-winning manager who has collected major trophies from four European countries. But that is a bit surprising as the 55-year-old’s rather sour attitude, that has recently become a part of his approach to management, started at the Santiago Bernabéu. After reaching enviable heights as a manager by adding a second Champions League trophy to his resumé in 2010 while in charge of Inter Milan, he earned a move to Real Madrid. The Spanish giants sought to add to their incredible European success under him. But things did not go according to plan. The team came up short for three consecutive years. Despite beating Pep Guardiola's Barcelona to a La Liga title and adding a Copa del Rey in three seasons, Mourinho was let go. But his exit came not just as result of limited success on the pitch, it resulted from the creation of a toxic atmosphere around the team. The former Porto gaffer fell out with some of his key players and lost the dressing room. He was at loggerheads with the then club captain and both Real Madrid and Spain's first-choice goalkeeper, Iker Casillas. He also had disagreements with key players like Sergio Ramos, Cristiano Ronaldo and Pepe. Mourinho's exit then came as a relief to the team and more success soon followed. In fact, the club has moved forward in leaps and bounds since the Portuguese departed in 2014 winning two La Liga titles and three Champions League trophies in just four years. Jose Mourinho will be on beIN Sports as a pundit for Arsenal v Chelsea next week. 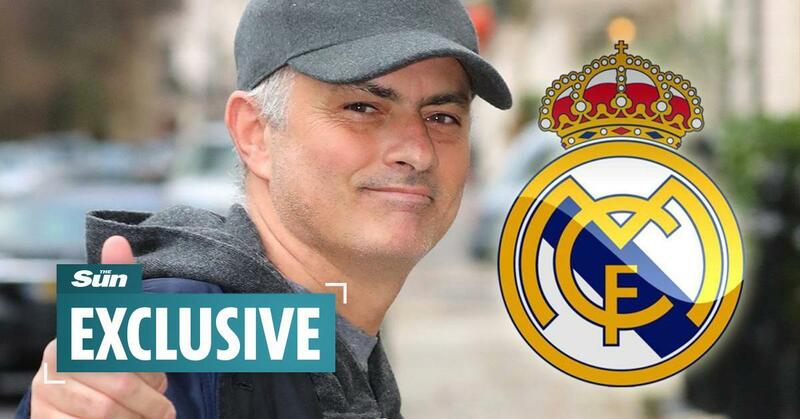 Having left Madrid, Mourinho returned to Chelsea for a second spell. Winning the Premier League title with the Blues showed he still had a lot to offer. But things went tumbling down in his second season. Another fallout with key players amidst poor results on the pitch led to another early exit. With the Stamford Bridge outfit languishing in mid-table late in 2015, Roman Abramovic did what has become all too familiar at the club, fire him. Manchester United jumped at the opportunity to secure one of the most successful managers in Europe. With Guardiola joining their noisy neighbours in 2016, the Old Trafford faithful were delighted at the prospect of having a manager who could challenge the Catalan. Mourinho was also expected to return the club back to the glory days of Sir Alex Ferguson. In what has now become his usual fashion, the Portuguese raced to significant success in his first campaign. Despite failing to make the top four in the league, he led the Red Devils to win two trophies. He consolidated on the club's league position by finishing second behind Guardiola's Manchester City last season. But habits die hard. His new-found ideology of falling out with key players reared its ugly head again. This time, he was involved in squabbles with players like Anthony Martial and Paul Pogba. Club captain Antonio Valencia was also sidelined at a point for supposed disloyalty. His constant nagging and blaming of his players and match officials for poor results became a source of concern as on-field performance suffered. As early as November, United had fallen out of the title race. He was fired. For a manager that has now developed a habit of failing miserably after initially achieving success, recruiting him has become a huge risk. Sure, with the right investment in top class players, Mourinho can deliver a trophy or two early into his reign in a new club. But the wheels can begin to come off fast as time goes on. He can take a team from the ground up and then send it crashing down to pieces. That is what has produced the third season syndrome of not going beyond three seasons in any club he has ever managed. Then, there is also the small matter of playing football that is not pleasing to the eye. His obsession with winning (or rather not losing) means that he often cares less about playing attractive, attacking football. All he wants is the win or points. And when he doesn't get them, everyone else except José is to blame. Los Blancos have not been known for playing the most beautiful football. Yet, they get results. So in that respect, Mourinho could be a good fit. But employing the man for the second time could produce more problems than solutions. At a time when the football world has moved on from a dull, unattractive style of play, Real should be looking for a manager who can play beautiful and win. Mourinho is not that manager.